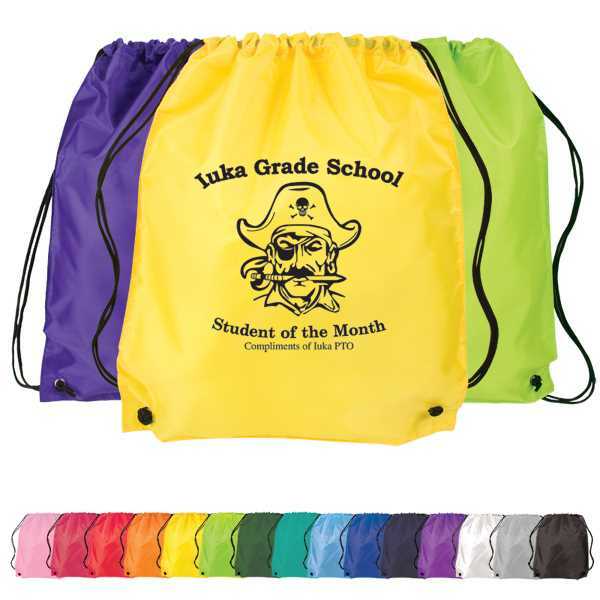 Overseas Direct: 60-90 business days - Gather up great profits when you use this Classic Drawstring Backpack to advertise your company! The classic polyester cinch up backpack offers unparalleled value with a huge color selection that can match your school, team or corporate colors. It's made of 210 denier polyester and features an adjustable soft nylon shoulder strap that doubles as a drawstring closure. It's a great promotional tool that can be handed out at trade shows, conferences or any other marketing opportunity. See what a great advertising product can do to help spread your brand! Size: 14 1/2 " x 17 1/2 " x 1/8 "